Andiamo’s intimate bungalow is an ideal setting for larger parties looking to celebrate. We’re flexible and will work with you to coordinate your special event based on your menu preferences and seasonal availability. From the large party menu please select four appetizers, five entrees and three desserts. Our three-course meal is $39 dollars per guest. Beverages, tax and service are additional. Because wine availability can vary, we ask that you make both red and white wine selections at least one week in advance of your event so that we can hold the wine for your party. You will be charged only for opened bottles. We can host parties of up to 35 comfortably on most nights of the year. Because we are a small restaurant, on busy nights we ask that parties greater than nine dine early and finish by 7:15 p.m. or dine after 8 p.m. Please call for additional fees to dine during peak hours, peak times of the year or to rent out the entire restaurant. 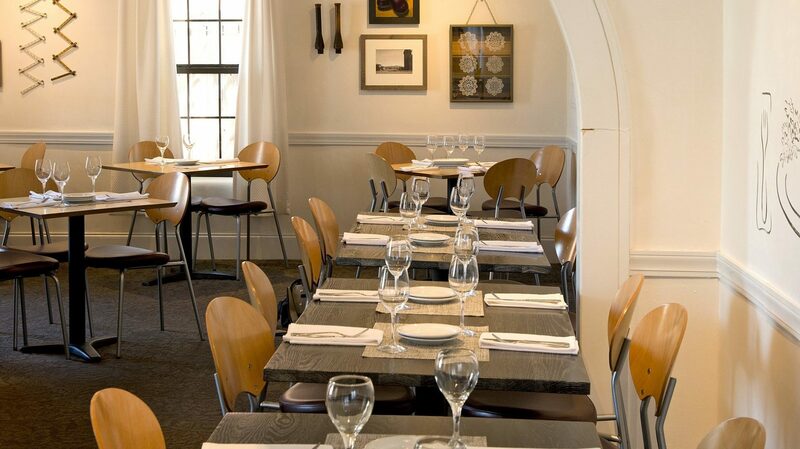 Depending on the size of your party, we will seat you at tables of six to 10. We ask that you complete and return a simple contract one week prior to your event along with a $10 dollar deposit per guest to hold your reservation. If you need to reschedule your party, please let us know 24-hours in advance.